- $0.50 Off any one Lysol Neutra Air Aerosol or Fabric Mist. Save $5.00 when you spend $20.00 on select Reckitt Benckiser home products including: Lysol® Disinfectant Spray, Lysol Disinfecting Wipes, Air Wick Scented Oil, Air Wick Freshmatic Automatic Sprays, Finish Dish Detergents, Finish Jet-Dry, Resolve Carpet and Easy-Off Oven Cleaners. Print and Save! 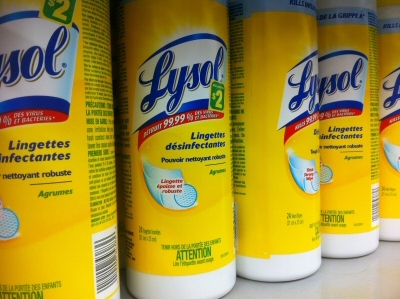 Over $6 worth of coupons, $0.50, $1 discount on select Lysol products.